The Roku Ultra provides high-quality 4K picture quality, an upgraded OS, and unique voice-activated remote with a free pair of JBL headphones. A Roku device is one of the best ways to go if you’re a cord cutter or just want a streaming media device to supplement what you already have. It supports the most streaming services and offers more access to 4K and HDR content than other competing devices. Roku provides access to popular subscription services like Netflix and Hulu and OTT live TV services like PlayStation Vue or Sling TV. And Roku also offers its own streaming service dubbed The Roku Channel that provides free ad-supported movies and TV shows. Here we take a look at the Roku Ultra box which the company announced earlier this year along with its 2018 line of devices. The Roku Ultra has the basic design as last year’s model. The voice-activated remote includes a headphone jack for private listening and company is throwing in a pair of premium JBL headphones ($30 value). The box supports 1080p with upscaling from 720p, 4K UHD, and 4K UHD HDR10 for TVs that support HDCP 2.2. For audio, it supports digital stereo over HDMI, DTS Digital Surround, and Dolby Atmos. It includes an Ethernet port and MicroSD slot for additional storage in the back, and a USB slot on the side. After you have the box powered on and plugged into your TV, setting up the Ultra is straight-forward following the on-screen instructions. Most of the current generation Roku devices like the sticks only support wireless connectivity. Only the Roku Ultra and Roku Premiere+ still include an Ethernet jack. While that might not be a big deal for some, you’ll appreciate a hard-wired connection when streaming quality 4K content. Once you have it connected to your home network, like any tech device, you will first need to download the latest updates for it. 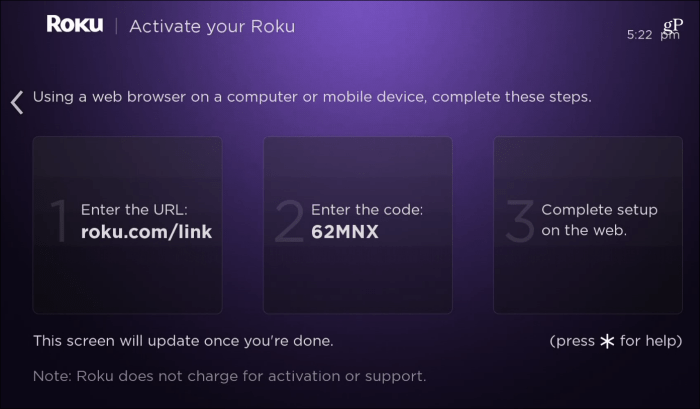 Then link your new device to your Roku account at roku.com/link – or use the Roku app on your phone. If you already have a Roku device and want it the same, check out our article on how to transfer channels from one box to another. Or, you can set it up as new and choose the channels you want to install. The voice-activated remote includes quick action buttons for popular services like Netflix and Hulu. You can also configure the remote to power your TV on or off and control the volume – much easier than using separate remotes. Another helpful feature is the lost remote finder. Just press the button on top of the Roku Ultra and it will send an audible signal to the remote so you can find it. It also lets you change the sound for the remote finder like a Game of Thrones theme. The Roku Ultra runs Roku OS 9.0 which includes “Free Genre Voice Search” that lets you find free content, no matter which channel or service it’s on. For example, you can say: “Show me free comedies” and it will display a list of comedic programs on streaming services like Crackle, The Roku Channel, and others. The interface is quick and responsive. If you are upgrading from an older Roku like the Roku 3, for example, you’ll notice the speed difference. 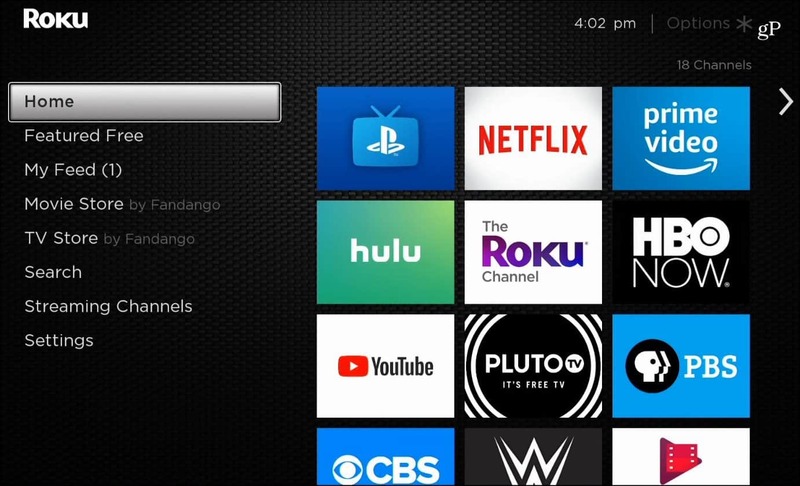 The new OS version isn’t an overhaul by any means and will be easy to navigate if you’re familiar with the Roku ecosystem. Still, switching between apps is still a clunky process—which has been an issue with the Roku OS for years. While most new TVs on the market are “smart” and are powered by familiar services such as Roku, Amazon, or Google Assistant, an external Roku device allows you to make any of your existing televisions the same functionality. Or, if you have an older HDTV that isn’t 4K, you probably don’t need the Ultra and you can grab the Roku Express for less than $30. If you already have a Roku should you upgrade? If you have last year’s Ultra, then no. There isn’t enough new here to warrant it. However, if you have an older Roku model from around 2013-2015, you will enjoy the fast and responsive experience, not to mention the 4K support and private listening remote. And, even if you are looking at moving to 4K in the near future, the Ultra is a good choice as it’s upgrade-ready and should last several years. The Roku Ultra sells for $99 and is available online and in stores.